The Schill team loves perennials, and it’s no wonder why. The flowering plants and leafy shrubs make great additions to any landscape by adding pops of color, texture, or differences in height. And because they last year after year and typically require less water than annuals do, they make great investments for any property. But while their hearty nature means that most perennials are fairly low maintenance, it’s important to care for them properly in order to get the best return on that investment. So, because we’re all about education when it comes to plants and landscaping in general, we wrote this article to help property owners and managers understand the importance of proper perennial maintenance. Not cutting back plants at all is one of the biggest mistakes that people make when it comes to caring for perennials. 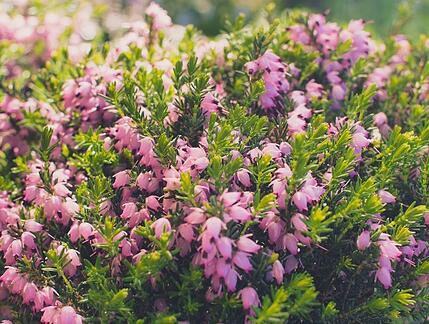 This causes the plants to become overgrown and unsightly, and can also result in them crowding out other plants. This can lead to you having to replant the tree or shrub somewhere else or replacing it altogether, both of which can be costly. That being said, any landscape maintenance contractor worth their salt should know to recommend pruning when it’s appropriate. But not only are pruning and cutbacks vital to maintaining a plant’s size, they can also keep flowering plants in bloom longer and ensure that ornamental grasses don’t leave a mess on your property (more on that below). Want more planting and watering tips? Check out our comprehensive landscaping guide for property managers and owners. There are a wide variety of flowering perennials, and each species of plant will bloom at different times during the year. In fact, when we’re suggesting plants to our clients, we will often pick plants in a way that ensures that they have seasonal color for as much of the year as possible. However, problems arise when customers expect each plant on their property to be cut back at the same time because it can limit the amount times the plants bloom. While this is a perfectly reasonable request that clients typically make because they want the perennials on the property look uniformly maintained, we do often advise against it. Some varieties of ornamental grasses are cut to the ground before the end of the growing season. If they’re not, they die back naturally and blow away when fall winds come. But some property owners like the brown color these plants turn to as they die back. To minimize mess and give the customer the look they want, we can tie up the plants to protect them from the wind, but neglecting the plant by doing nothing isn’t an option. Several varieties of perennials will bloom more than once per season, but often this only happens if they are also pruned more than once per season (for more information on how pruning encourages plant growth, read this article on proper pruning techniques). Roses, daylilies (pictured right), dianthus, and black-eyed Susan are all examples of popular plants that will rebloom after they are deadheaded. Some aesthetically-minded property managers favor year-round color, so they prefer us to cut back their perennials several times per year, while others are more cost conscious and only want us to prune as often as is necessary. The best grounds maintenance providers want to know what’s important to you on your property in order to serve you better, so let them know! 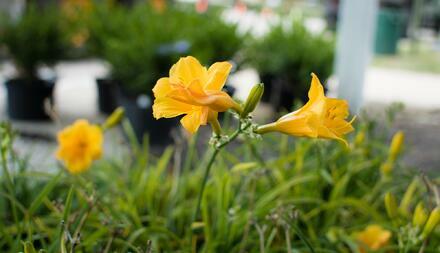 Concerning perennials, tell your landscaping company if you prefer to have more blooms or fewer cutbacks. Occasionally, our clients will have specific dates during the year that they want their plants cut back by. This is sometimes done to conform to monthly budget constraints, or simply to make the plants look neater during important events taking place on the property. While we like to accommodate such requests, it’s important that property managers know that cutting perennials back too early or too late could mean that the landscape misses out on blooms and seasonal color. Here at Schill, we keep an eye on almanacs and meteorological predictions to estimate how the weather will play out throughout the year. This helps us to know when and how often to prune certain types of perennials. If we cut daylilies back too early, for instance, they bloom again (and have to be cut back again, which is an expense that our customers may or may not want to incur). 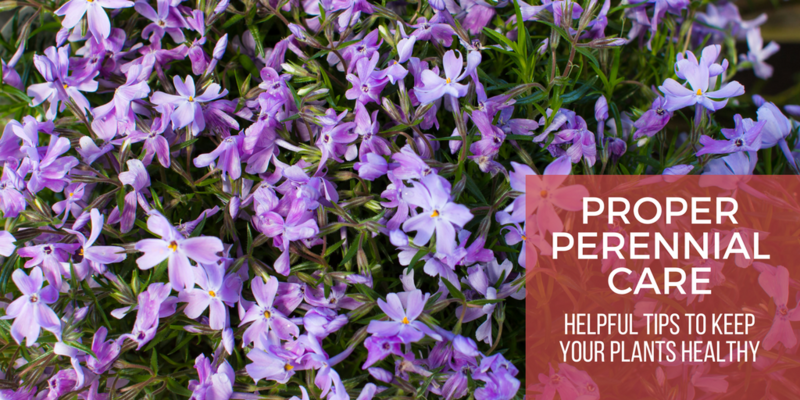 While perennials may require less maintenance than annuals, it’s important to prune them properly if reoccurring seasonal color is important to you. The Schill team is always monitoring weather trends to make sure we’re providing the best service for the plant on our clients’ properties. If you need help finding a landscaping contractor who understands the intricacies of landscaping, read our Commercial Landscape Maintenance Hiring Guide below. And, of course, if you’re local to Northeast Ohio and would like to discuss your property’s needs, give us a call at 440-327-3030 or drop us a line.